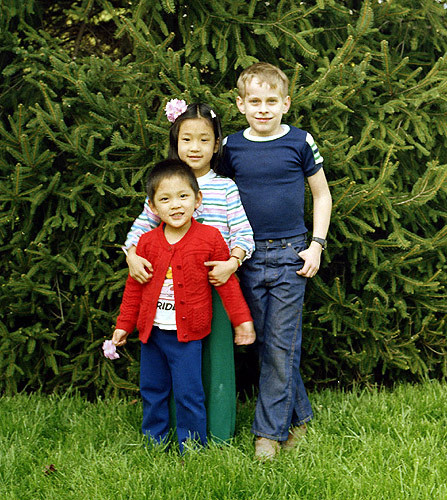 This snapshot was taken in 1983 in our backyard, in front a pine tree which has never looked so lush ever since. The guy in the back was named Tony, and he lived in the cul-de-sac at the bottom of our street. Eventually, he was no longer welcome around our house, but I can't remember if it was because he stole things, or he broke things, or a combination of the two. Happy birthday to my wife! And Brianne, of course.